I am a victim of war. As a result of the war in Syria, I could not complete my studies. Therefore, I decided to travel to Saudi and complete my secondary certificate and then study Dentistry in order to provide for my family. Thereafter, I completed my secondary certificate and managed to get a high average despite working while studying. In 2016, I moved to Jordan and searched for a university to complete my higher education but unfortunately they were all too expensive As a result, I returned back to Saudi and worked there. 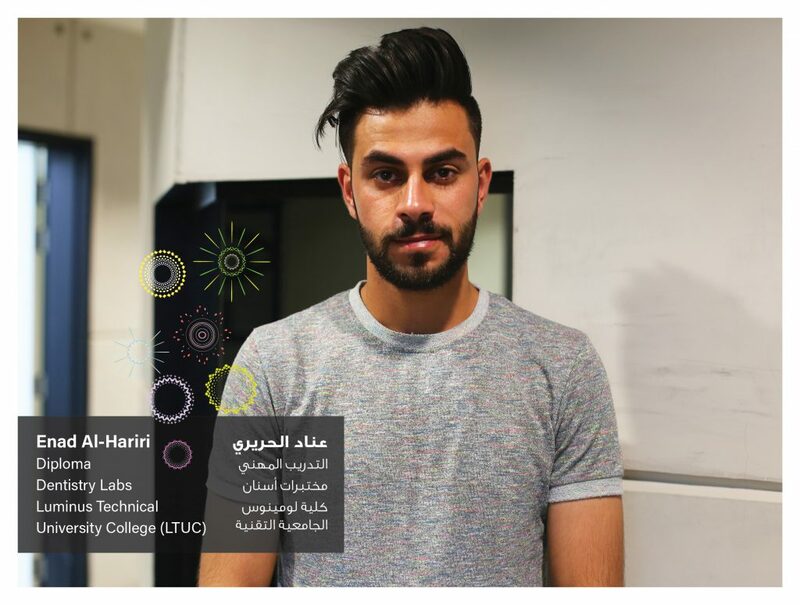 After being rejected by many Saudi universities because of my nationality, I returned back to Jordan and came across Luminus Technical University College (LTUC). I managed to pay my fees in installments and completed my first semester with a very high average. Unfortunately, due to my family’s poor financial status I could not continue my studies. I then heard of the EDUSYRIA scholarship and applied for it. After waiting for so long to hear from the scholarship program, I received an acceptance. Today, I completed my second semester in the field of dentistry lab. I hope to bridge my studies at university and achieve my dream of becoming a dentist. Despite all the obstacles I faced, I was able to complete my studies because of the scholarship and my family’s support.